Admittedly I am a little late to the party but thats the cool thing to do right? If I am being honest I didn't even know this existed until I read about it in a friends blog Textbooks and Cliches. Seriously check her out, shes cool and aiming for a whole novel this month. 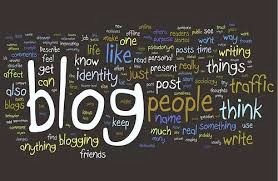 Although I would love to try and do that one day, for now I am just aiming for a blog a day. I am fairly new to blogging so thought it would be a good way to just get into the habit of writing on a more consistent basis than I have in the past. It is not that I haven't had a fleeting thought for a blog post, a lot of it was just having the motivation to sit down and write something without others thinking it was stupid and pointless. I posted 6 times last month and had lots more ideas to write about so I know this everyday blog will be much more of a challenge. I aim to write the full 30 posts even though I am starting 5 days late. There is lots of tips and helpful hints from the blogging community on the NaBloPoMo website to hopefully see me through to the end. The good thing about blogging is that the topics can be as varied as you want. You only have to check out my other posts to see that :). All the best people arrive to the party late so why don't you get involved. You can sign up here NaBloPoMo Blogroll and don't worry if you don't already have a blogging site set up Wordpress makes things really easy for you or if you already have a gmail account Blogger is useful and easy to use. What are you waiting for? Dive in and get blogging :).